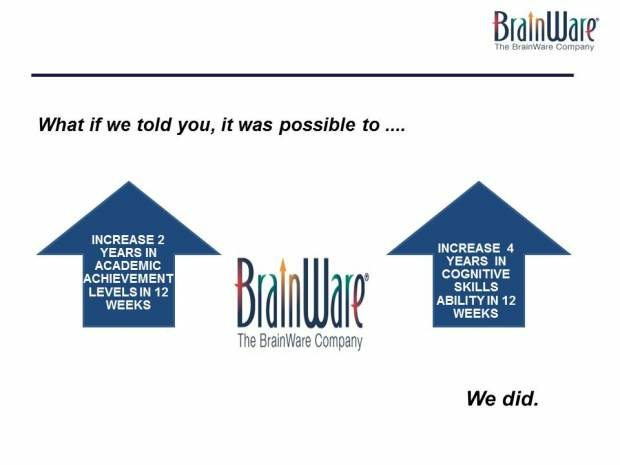 BrainWare SAFARI is a software program that has helped tens of thousands of students and adults build their cognitive skills. It focuses on 41 skills in six areas: sensory integration, visual processing, attention, memory, auditory processing and thinking. The end result is individuals who have greater ability to think, reason and process information. For students, it can mean greater intellectual capacity and better academic performance. For adults, it can mean better focus, problem-solving and productivity. “Cognitive skills are the intellectual infrastructure we need to learn anything, to connect our previous learning to new learning, and to perform effectively in school and life,” according to Betsy Hill, COO of Chicago-based Brainware Company. BrainWare is a comprehensive program that uses video-game technology to make it fun and engaging, which is extremely important in getting good results for users at any age. The results from BrainWare SAFARI, the company’s first entry into the space, have been impressive. In published research, students using the program improved their cognitive ability significantly in just 12 weeks, showing intellectual growth of more than four years. That type of growth would mean that a child with the cognitive development of an average 8-year-old would afterward have the intellectual capacity of a typical 12-year-old. Academic capacity improved by nearly two years, in that same time period. The next step for BrainWare SAFARI is to make it completely web-based so the program can be used on any computer, tablet or mobile device. This will require substantial technical work as well a new graphics geared to teens and adults. Donations of any amount are welcome. For a $5 contribution, backers will receive a subscription to the BrainWare Brain Buzz newspaper, a publication that focuses on developments in neuroscience. For $100, you can get a personal BrainWare SAFARI user account, with the option to have the second account donated to a child in need. A $250 pledge is good for a BrainWare SAFARI Family Pack, which can accommodate up to five users.